The mission of the Green Business Initiative (GBI) is to promote the interest of Chamber member businesses that are committed and engaged in environmentally responsible operations and practices in the Marshall County area. Members of the GBI pledge to strive toward environmentally safe, sustainable business practices and operations to ensure that Marshall County remains a healthy place to grow families and businesses. What are the goals of the GBI? provide additional marketing opportunities for those enterprises proactively engaging in green business practices. To increase awareness of the economic growth opportunities related to the green economy. Each applicant must be a member of the Plymouth Chamber of Commerce. Each applicant must be all existing federal, state, and local environmental regulations applicable to their enterprise. Green is a word that gets used a lot to describe choices that use less of the earth’s precious resources. Another familiar word is “sustainable,” which simply means to use our share of resources so there is some leftover for future generations. To help guide businesses, we have created checklists to walk them through the process of becoming more sustainable. The checklists are located at the back of this packet. What benefits will my business receive? Review the checklists in this packet and identify activities you would like to pursue. If you have questions, don’t hesitate to contact Marianne Peters, Executive Director of the Marshall County Recycle Depot, at 574-935-8618 or mpeters@myrecycledepot.org. When you have completed all the required and optional steps, fill out the GBI application on the Recycle Depot website and email to the Director. To be certified, you must have completed all the required and optional activities for each checklist. The Director will call you to schedule a follow-up visit to confirm the steps you’ve taken and offer any additional support. The checklist is meant to both guide and challenge you to think in more constructive, sustainable ways about the resources you use. Some steps will be easy. Some will be harder and require more investment of time and money. Once I’m certified, then what? Feel free to share your certification with vendors, customers, and employees. Depot staff will not do annual inspections, but we will check in from time-to-time to encourage and support your efforts. One more thing … Your Small Business Might be a VSQG: Very Small Quantity Generator. Do you generate less than 220 lbs. 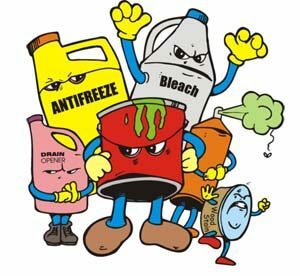 of hazardous waste per month and never store more than 2200 lbs. of haz waste on site? Do you generate less than 2.2 lbs. of acute haz waste and never store more than this amount on site at one time? If this fits your business, please click this link for additional Depot services!